13 Mar Migraine Preventive Therapy: What's in the Pipeline? The American Migraine Prevalence and Prevention (AMPP) study showed that only 13% of migraine patients were receiving preventive therapy, while 38% of migraine patients could have potentially benefited from it. 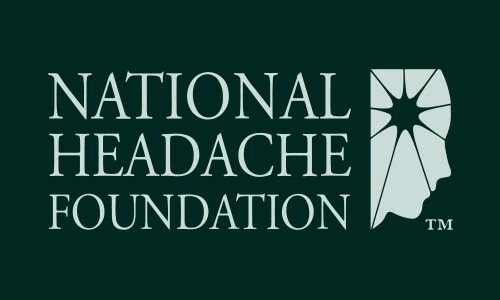 The US Headache Consortium guidelines suggested that migraine patients with 6 or more headache days per month should be offered preventive therapy, and they also suggested that those with 3 to 4 headache days per month should be offered this therapy if there is significant functional disability. So why is migraine preventive therapy so severely underutilized? To understand this issue, we must look at what options are currently available and realize what their shortcomings may be. The first medication specifically designed as a migraine preventive medication was methysergide. This was an extremely effective medication for migraine prevention, but it, unfortunately, had significant complications in the form of pulmonary and retroperitoneal fibrosis that could severely complicate lung and kidney function. In addition, some significant vascular risk was associated with methysergide. These issues have resulted in methysergide being removed from the US market (although the drug is still available in some foreign countries). Until now, preventive medications that have been used for migraine were all originally utilized for other medical indications and found to be effective for migraine prevention after their introduction to the US market. These agents include: a variety of medications used for epilepsy (topiramate, valproate, and gabapentin); hypertension (propranolol, metoprolol, timolol, verapamil, lisinopril, and candesartan); and, depression (amitriptyline, nortriptyline, and venlafaxine). OnabotulinumtoxinA (Botox) is also commonly used for patients who meet the criteria for chronic migraine. These drugs are a few of the more commonly tried preventive agents. All of these drugs are limited in varying degrees by tolerability issues, despite evidence of good efficacy. So what does the future hold? Are there therapies being developed that are migraine-specific? Are there therapies “already out there” in the marketplace that may be of value for migraine prevention? Several factors may explain why CGRP modulation is currently such a popular area of migraine research. Neurotransmitters are messengers of neurologic information from one cell to another. CGRP is an excitatory (causing or having a tendency to cause excitation of a nerve cell) and inflammatory neurotransmitter released from trigeminovascular sensory nerve cells. The trigeminovascular system consists of cells in the trigeminal nerve that stimulate cerebral blood vessels. CGRP is a potent dilator (enlarger) of blood vessels. It causes extravasation (forces out a fluid, especially blood) from inflammatory plasma proteins and increases pain transmission in both the peripheral and central nervous systems. Levels of CGRP ar elevated in the blood, spinal fluid, and the saliva of migraine patients. When injected intravenously, CGRP induces migraine-like headaches in susceptible individuals. Monoclonal antibodies, such as CGRP, are produced by a single clone of cells or cell line and consist of identical antibody molecules. CGRP antibodies are currently the most exciting potential preventive agents being studied. Four CGRPs are now being studied in Phase III clinical trials. Each of these appear to be working well in terms of efficacy and tolerability based on the Phase II data and early Phase III studies. CGRP is extremely important player in the migraine process. It is involved in vasodilation (widening of blood vessels), inflammation, and pain transmission. Serotonin is another neurotransmitter. The triptans work acutely by stimulating serotonin (5-HT1 B, D, and F) receptors. By stimulating the D receptor, the triptans inhibit the release of CGRP. It is felt that this action reduces not only vasodilation, but also inflammation and pain transmission. The effect of this action is short-lived, so the triptans are used almost exclusively for acute migraine abortive therapy. It is also believed that onabotulinumtoxinA may be working, at least in part, in the preventive therapy of chronic migraine by the prolonged inhibition of CGRP release for about 12 weeks. Biologic agents, such as CGRP monoclonal antibodies, are manufactured in the laboratory starting with antibodies made in non-human species (such as mice or rats). Individual components of these non-human immunoglobulins are then gradually substituted, making them humanized (90% human) or even fully humanized (100% human). This substitution reduces the risks of immunological reactions against them that could either inactive them or cause allergic reactions. These antibodies also have a long half-life, allowing them be administered monthly or possibly even at 3-month intervals. Currently, three of these potential therapeutic agents are being manufactured as a subcutaneous (SC) injection that will hopefully be easily self-administered by patients. The fourth CGRP is an intravenous (IV) preparation that will be administered by a nurse. Another group of potential therapeutic agents for migraine prevent are referred to as gepants. The gepants are small molecules (in comparison to antibodies) that block the CGRP receptor cells. The first of the gepants to progress through Phase III testing was telcagepant. Telcagepant showed efficacy as both an abortive agent for acute attacks and as a preventive agent. Unfortunately, telcagepant was associated with liver toxicity and never became commercially available. Other agents in this class are currently in clinical trials for both acute and preventive therapy. These newer gepants appear to have no evidence of liver toxicity which hopefully, will be maintained through clinical trials. A combination drug currently undergoing clinical trials contains a mixture of dextromethorphan and quinidine. Its efficacy is attributed to its effect against glutamate, an excitatory neurotransmitter that is important in the migraine process. This agent also could work through modulation of sodium, potassium, and the calcium channels. At this point, however, it is too early to tell if this agent will be of major benefit. Substantial data suggest good tolerability, as the drug is already commercially available as a treatment for pseudobulbar affect. PseudoBulbar Affect (PBA) symptoms are frequent, uncontrollable outbursts of crying or laughing in people with certain neurologic conditions, such as stroke or brain injuries. One investigational product being evaluated is a nasal spray of oxytocin. Oxytocin is a hormone released by the pituitary gland that causes increased contraction of the uterus during labor and stimulates the release of milk into the ducts of the breasts. Early studies suggest that this drug may someday be an effective preventive therapy. Other investigational products are also in early testing. Histamine dihydrochloride is a product planned to be used by SC injection. Histamine is a chemical found in some of the body’s cells that causes many of the symptoms of allergies, such as a runny nose or sneezing. It is believed to be involved in the pathogenesis of migraine and cluster headaches. Also, in early testing, is the mineral supplement, magnesium L-lactate dehydrate (MLD10) taken daily. Magnesium has been used for several years for migraine prevention. In addition to pharmacological agents, various medical devices are also currently being investigated and evaluated. The vagal nerve is the tenth cranial nerve, supplying the heart, lungs, upper digestive tract, and other organs of the chest and abdomen. A hand-held vagal nerve stimulator as well as transcranial magnetic stimulation are non-invasive options in the pipeline that are currently being used for migraine prevention as well as for acute therapy. Occipital (back of the head) nerve, supraorbital nerve (pertaining to the temple and the ear) nerve stimulation are also being used but require surgical implantation. These devices are considered, at this time, to be investigational. Similarly, a sphenopalatine ganglion (SPG) (relating to the sphenoid bone at the lower part of the skull and the palate) implantable stimulator is currently being investigated for chronic cluster headache. Could this intervention also, in the future, be considered for prevention of intractable chronic migraine? In addition, an intranasal kinetic oscillation stimulation device is being evaluated for migraine treatment. In summary, we have found in the last few years that investigational drugs and devices are being increasingly evaluated for migraine prevention. In my own practice, we are currently involved in the clinical trials of several of these pharmaceutical products and devices. As none of the commercially available agents are effective and tolerable for all migraine patients who need them, any new additions that become commercially available are always eagerly anticipated by patients. It remains most important, however, to remember that these patients first need to be appropriately diagnosed with migraine. Also the patients should be evaluated to determine if preventive therapy is needed in addition to properly utilized acute migraine-specific therapy. Overuse of acute medications must also always be involved.